Until last Thursday, many Canadians could probably be forgiven for thinking marijuana was, at least in practical terms, basically legal in this country. It's just a matter of waiting for the Liberal majority government in Ottawa to write a bill and win a few votes. 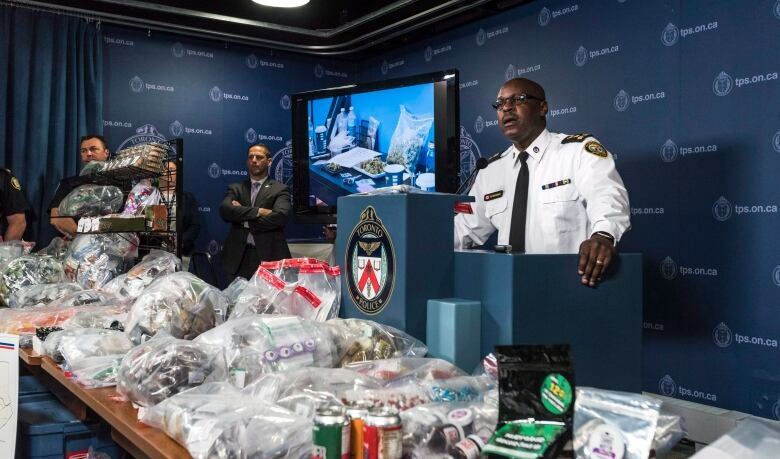 No big deal ... Then Toronto police raided 43 marijuana shops. Until last Thursday, many Canadians could probably be forgiven for thinking marijuana was, at least in practical terms, basically legal in this country. It's just a matter of waiting for the Liberal majority government in Ottawa to write a bill and win a few votes. No big deal. Then Toronto police raided 43 storefront marijuana shops and arrested more than 90 people, adding a potent hit of confusion to the status of Canada's pot laws and the will of police to crack down. Of course there are the laws as they are written, and police from coast to coast to coast have pointed out it's their sworn duty to enforce them. 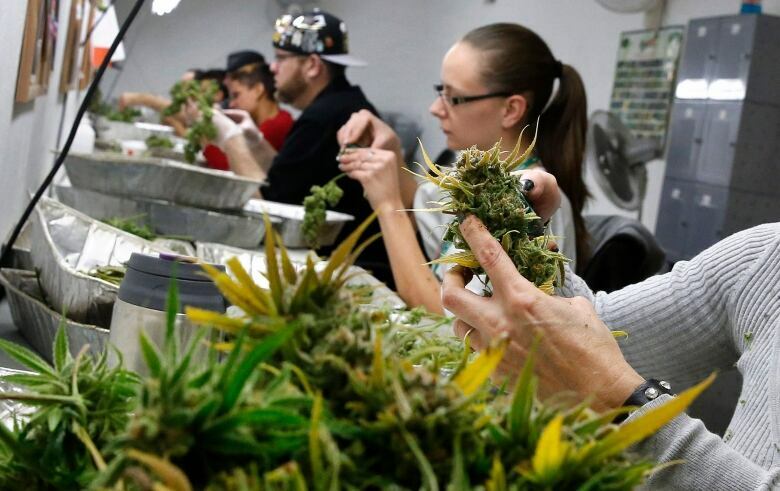 But there have also been marijuana compassion clubs in cities across the country for decades, as well as dispensaries, whose owners often claim to operate in a legal grey area. The fact is the marijuana landscape in this country is thoroughly hazy and filled with unknowns: new medical marijuana legislation due in late August, a new bill for legal recreational pot use to be unveiled next spring and a mind-boggling explosion of medical marijuana dispensaries across Canada. Toronto, for example, went from a handful of dispensaries to, according to police, about 100 in just a few years. "Right now it's confusing for the public, policy-makers and especially for patients," Hilary Black, co-founder of the B.C. Compassion Club based on Vancouver Island, told CBC News in a recent interview. "We have two parallel systems: one licensed, and one civilly disobedient." The licensed system is what Stephen Harper's government begrudgingly developed after the Supreme Court forced its hand. Patients get a valid prescription and send it off to one of 31 licensed producers across the country, who mail it back. It's all very efficient — John A. Macdonald would be proud. The "civilly disobedient" system operates with dispensaries, an option Black says patients often tell her they prefer: the retail, storefront experience with knowledgeable staff and not even the faintest whiff of stigma. They have existed for decades, especially in Vancouver and Victoria, but are now popping up in the Prairies, all over Ontario and Montreal. Walk down a busy street in a hip Toronto neighbourhood, and you may just spot a cross glowing fluorescent green in the night. There were so many of these shops, in fact, police say residents became concerned. There are schools nearby, they complained, this is no place for unsavoury potheads without proper prescriptions. In response, Toronto police handed out notices to dispensaries across the city, warning them they could be raided if they didn't stop selling marijuana. And, well, late last week they got raided. The force says it was one of the single largest mobilizations of police officers in Canadian history and resulted in 186 charges and the seizure of about 270 kilograms of dried marijuana — a drug that will probably be legal next year. Some shops closed up for good, some look temporarily shuttered and others continue to operate. The political pressure proved too much for police. A day after the raids, Chief Mark Saunders told a press conference police took action because of "significant complaints" from the community. 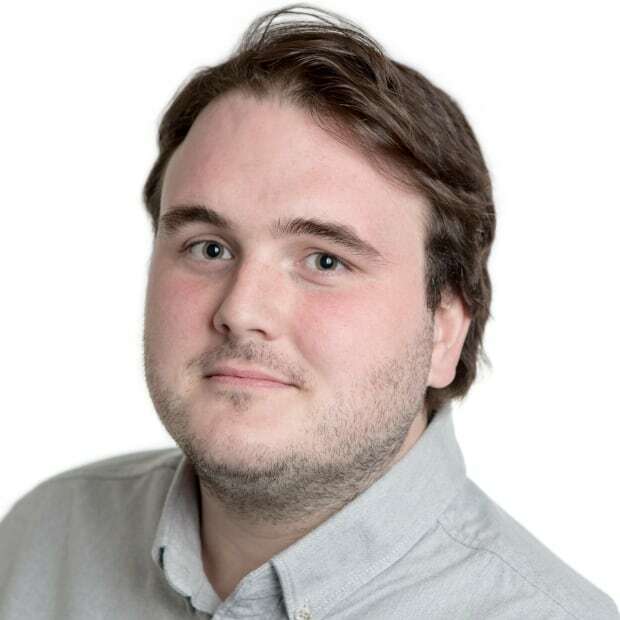 "It was a ridiculously extreme reaction to a problem that was much better handled by municipal bylaw," says Kirk Tousaw, a lawyer specializing in marijuana cases. With a first draft of a promised legalization bill nearly a year off, dispensary operators across the country are left wondering if they could be targeted next. "The biggest problem is that nobody knows what's coming down the pipeline as they draw up this piece of legislation. There was already supposed to be a task force in place — of course that hasn't happened," says Alan Young, lawyer and associate professor at Osgoode Hall Law School in Toronto. "But the vast, vast, vast majority are good people, here. They just want to help people." Dispensaries could very easily remain illegal, even under the new system, especially if provinces like Ontario decide to use their liquor control boards as distributors. "We spent decades in Ontario arguing about whether to buy beer out of grocery stores, so it'd be nice to see us get this one right. There's room for everyone," Young says with a laugh. Many critics are looking to the August release of the government's newly revised plan for medical marijuana users. According to Tousaw, it could provide a glimpse into how reformist and progressive the government may be with its approach to legalizing pot for recreational use. "I was more optimistic about it all before the raids in Toronto. They've got me a bit worried. But we'll see how the government approaches medicinal users and go from there," Tousaw says. "Just wait and see."